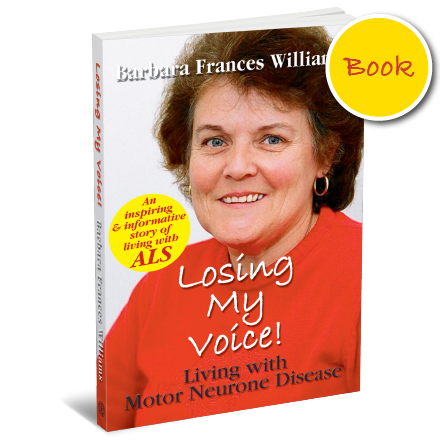 A must read for MND (ALS) Sufferers, Health Professionals and Caregivers. The author’s clinical training brings a unique and informative perspective to living with the disease. 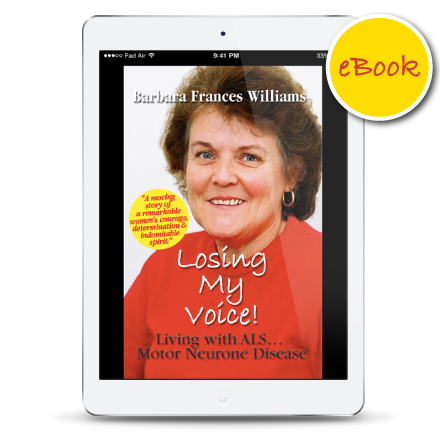 One year after moving from Auckland, New Zealand to Sydney, Australia to start a new career Barbara Williams is diagnosed with motor neurone disease MND, an incurable, degenerative, terminal condition also known as amyotrophic lateral sclerosis ALS. Once diagnosed with motor neurone disease, there is currently no hope of a cure. The best one can hope for is to slow the progression of the disease. People may react in different ways to the diagnosis of motor neurone disease. They can devote themselves to fighting the disease, they can try to live as fully as they can or they can give up. Barbara, elder daughter of the redoubtable New Zealand Prime Minister, Sir Robert Muldoon – a heritage of courage under fire – chooses to live life as fully as she can while she is able to. Fifty three year old Barbara continues living alone in Sydney, working fulltime as a clinical research associate and travelling for work, often on a weekly basis, to hospitals in Australia and New Zealand. She recounts her day to day life as it happens, the good times, the bad times, numerous medical consultations, taxi rides, plane trips, hotel stays and holidays. She keeps up a hectic work and travel schedule while she slowly loses her ability to speak and swallow. As Barbara becomes physically weaker travelling becomes more difficult and reluctantly she prepares to return to live in Auckland.